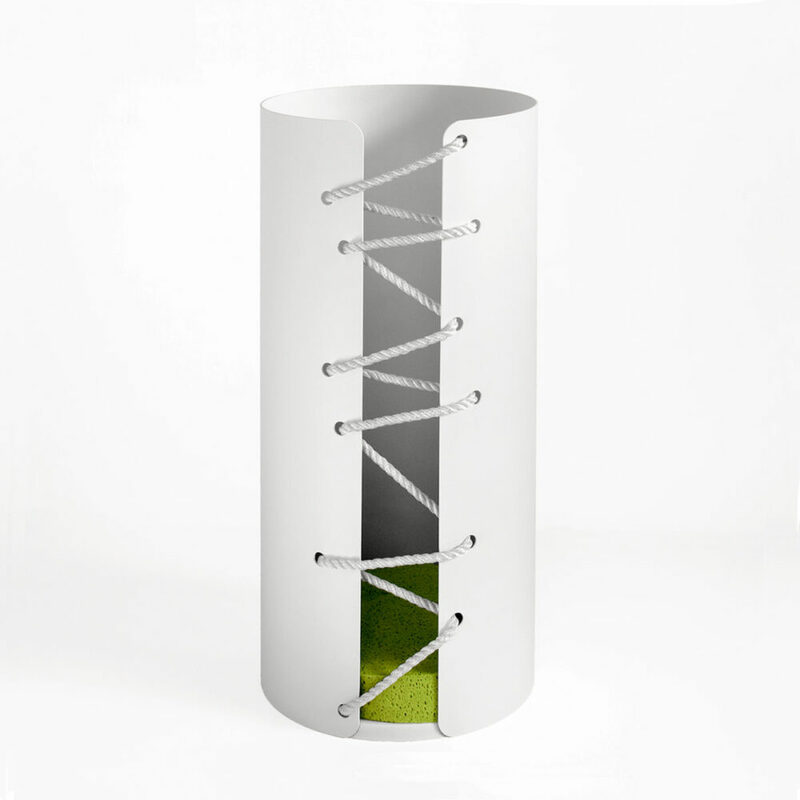 Nodo Savoia is an elegant umbrella stand designed by Eloisa Libera. The Nodo Savoia is a simple stopper knot used extensively by sailors. 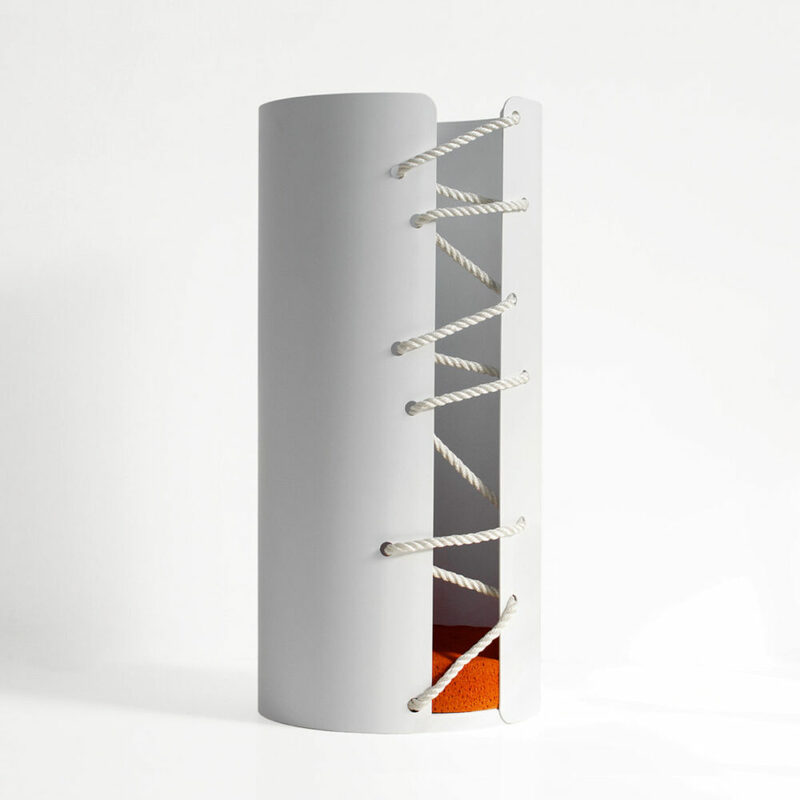 The rope that ‘sews together’ the two edges of the cylinder emphasises the nautical appearance of this innovative accessory that is ideal for any seaside villa. 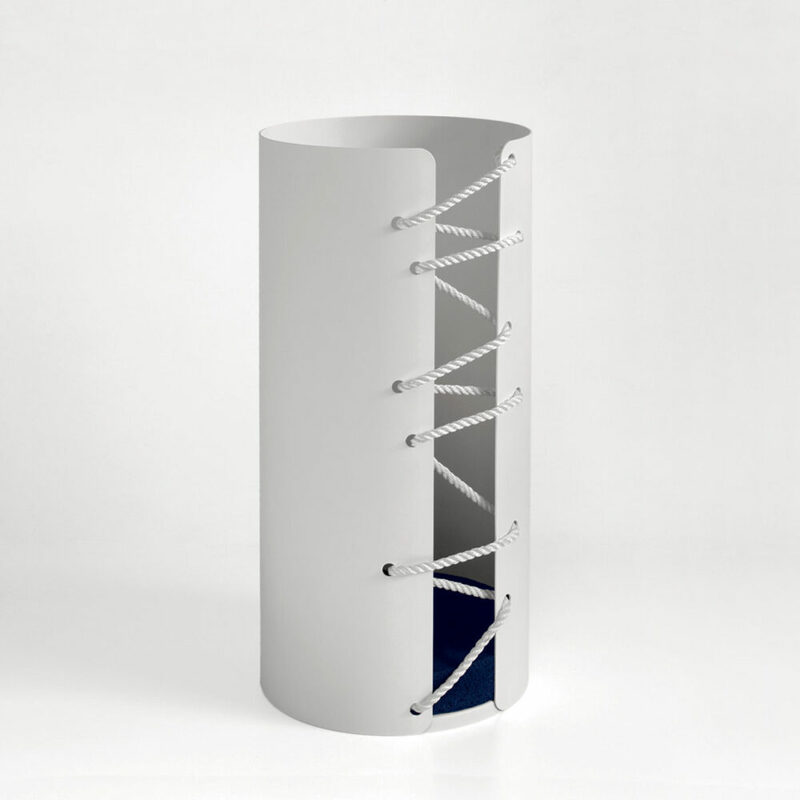 The structure is entirely made of aluminium to ensure it can withstand bad weather, even on the deck of a yacht where it can also be used to collect guests’ footwear. A colourful sponge made from technical material rests at the bottom to complete the design with a touch of bright colour.